Profiling the worlds greatest gamblers, who they are and how they made millions betting! Welcome to The Worlds Greatest Gamblers! 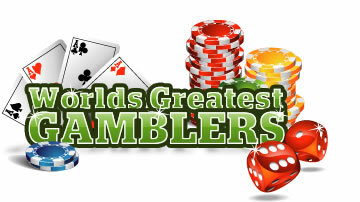 My goal for this website is to list and profile the world's best gamblers. The guys and girls who have made millions betting, from computer-programming horse-racing geniuses to the best poker players in the world. Horse racing is my passion, and I would like to start by profiling the biggest three players in the world, Alan Woods (rip), William Benter (aka Bill Benter) and Zeljko Ranogajec. Our featured profile this month is William Benter, from Pittsburgh, Pennsylvania. This mathematical genius changed the Hong Kong horse racing market, winning millions along the way! This website is copyright © The Worlds Greatest Gamblers.